February 1, 2016, the start of the month that includes Valentines Day. It is also our Safety First Day of the Month. Combine the two and lovingly demonstrate to your valentines you will do everything possible to keep them safe. Flowers, a gift and dinner are good but what about the gift of potentially saving their life, priceless. 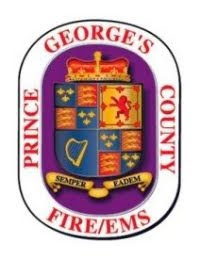 "Press to Test" your smoke and carbon monoxide (CO) alarms today to ensure your loved ones are protected from the devastation of fire and CO. Every 1st day of every month is designated as the day to test your smoke and CO alarms to ensure they emit that life saving alert. Simply press the test button on the front of the alarm. This past month we tragically lost four family members in a Chillum house fire where no working smoke alarm was found. Don't let this happen to you. Test your alarms and if they are old or not working replace them with new 10-year alarms. Lets set the example to show how much you truly love the ones we can protect and live with and PGFD will help by reminding you every month. On the first day of every month, regardless of whatever day it is, simply press the test button on the cover of your smoke and carbon monoxide (CO) alarms. What is important to note here is that you need to have smoke and CO alarms installed in your home for you to keep your resolution.